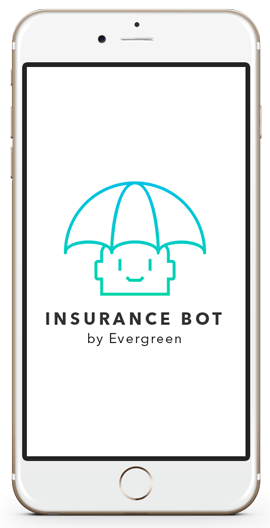 InsuranceBot is the unique chatbot for an insurance company. Get your orders through bot platform and communicate with the client. 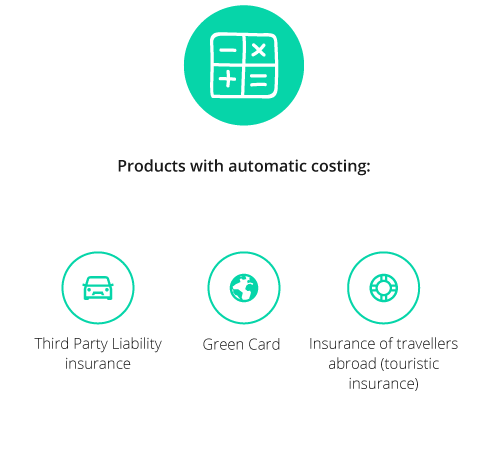 InsuranceBot is provided like white-label cloud service. Who the insurancebot is designed for? 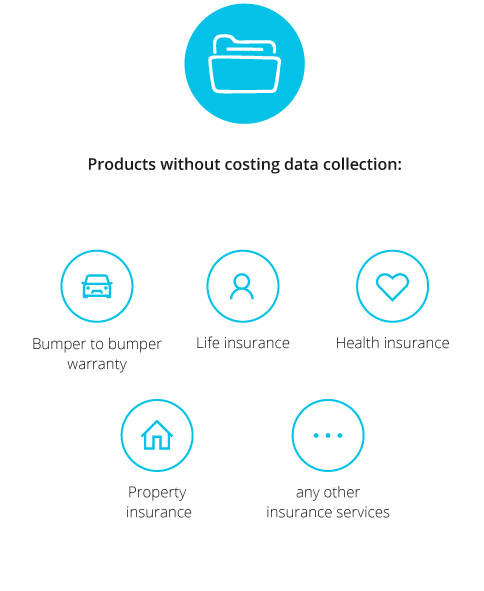 InsuranceBot is designed and developed for insurance companies, which provide such services as auto, health (life) and property insurance. Continually growing active audience of messenger users. New opportunities for business. Launching speed. You don’t need to wait when your chatbot is developed. We have already created it for you. Cost saving on development. The Bot is ready. You don’t need to pay for the development. 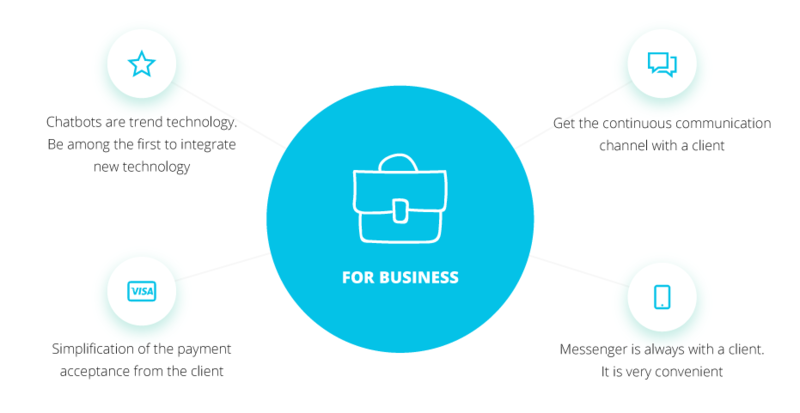 You will pay only for the integration with your existing systems and a subscription fee for use. It is clear, you’ll save your money. The absence of the risks. Our specialists have tasted the bot, and you will get a fully working product with predicted conversion rates. Due to this, you’ll minimize the risk in case the project doesn’t show the desired results or requires a lot of money for debugging. Integration with the existing systems. We are the integrators of our own product and have significant experience in this field. Ordering the integration of the bot, you can be sure – it will be one complete unit with all your internal systems. Technical support. In case of the malfunction, we’ll take the responsibility to restore the operability. Independence from servers. But for the cloud location of the bot, you don’t need to worry about servers’ resources. What can you sell via the bot? InsuranceBot has its own system for analysing user behaviour. 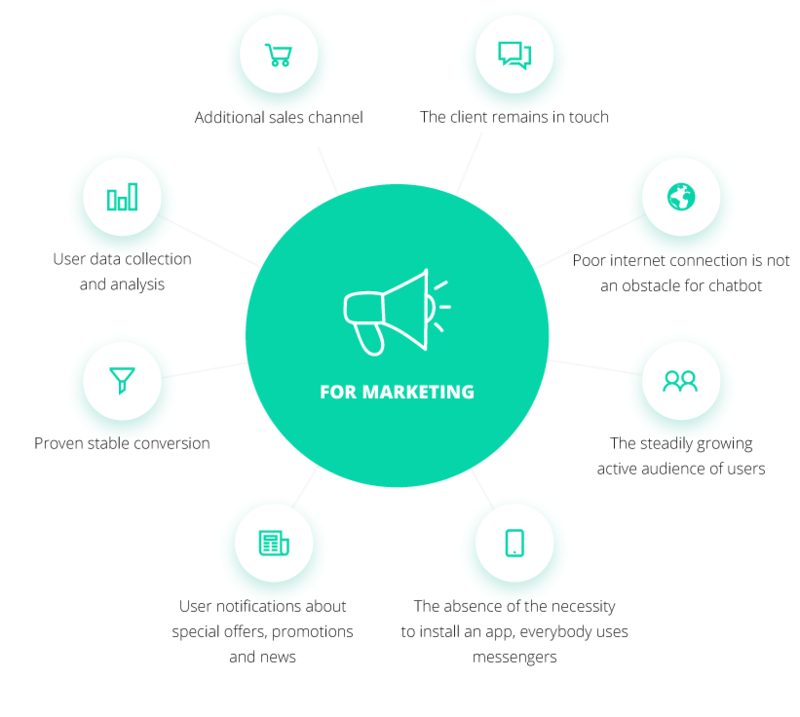 We collect statistics about user’s activity; and based on this data, we build a sales funnel for the bot. At the moment, the bot is implemented on the Telegram platform. Viber and Facebook Messenger are coming soon. API for transferring order details to CRM. The bot is provided ready-to-use software model, which is deployed and integrated by our team on a separate cloud account. The customer pays for integration with his internal systems, customization of processes and products. After product integration, we provide hosting and support on a monthly subscription basis. Payment for the updates and the introduction of new functionality is carried out according to the hourly payment model. User data is not stored in our service. We only transfer them to the CRM of the insurance company. We use only a secure https protocol for data transferring. For data processing, we use an enterprise-level cloud solution from AWS, minimizing the risk of hacking. We see that the majority of users calculate the price of their insurance, and only 22% begin to formalize the policy. This is normal tendency in the service sector – many people research the prices of different companies before making their final choice. But the only difference is that the bot can simultaneously calculate a huge number of requests, and this does not affect its costs. Let’s look at this question from the other side. You pay for the bot once before the development, or with a fixed monthly subscription cost. 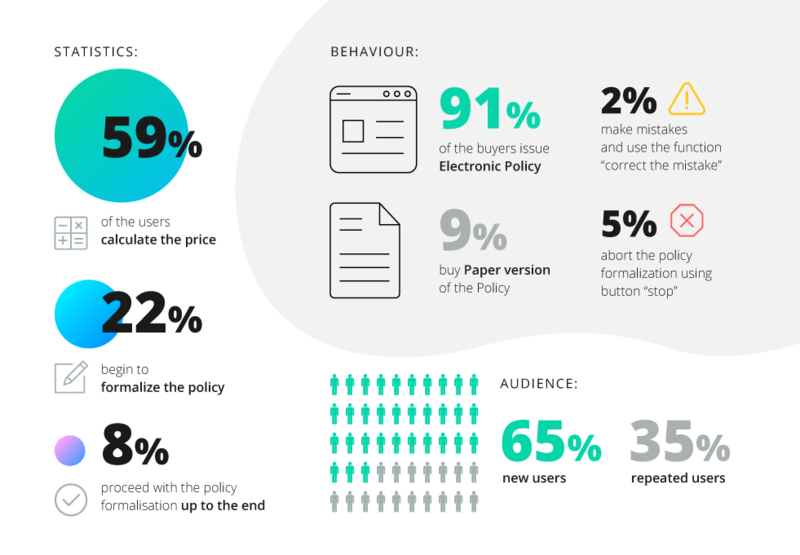 But do you know how many operators you will need to calculate policies with such operativity, without paying attention to the fact that only 22% will decide to issue the policy, and 8% will buy it? The fact that 91% of policies issued through a bot – being more precise, Electronic Policies, gives an insight, that the innovative product needs an innovative sales channel. And as trust in Electronic Policies increases, there will be more and more people willing to buy them. Finally, 35% of the refunds mean that after calculating the price, having tried to start the docs formulation, and having familiarized with the bot – people open it again to finish the process, or show the bot to friends. This experience is only the beginning. VUSO Insurance Bot has been working only for one month. Well, and Electronic Policies are a wonder for people. When drives are sure that they don’t need to issue paper version of the policy, and they can buy an insurance sitting in the car and it will be valid, Insurance Bot won’t be a product innovation anymore but the necessity.